Technology stocks fell again Monday and deepened their steep losses from the end of last week that saw shares of social media companies Facebook (FB) and Twitter (TWTR) plunge around 20 percent each in a single day. By Monday, even once-mighty Netflix seemed weak in the knees, with the streaming media darling down almost 6 percent in mid-day trading. It's a sharp turnaround for a group that had long been the stock market's undisputed leader. Tech stocks in the S&P 500 slumped 2.3 percent Monday, far worse than any of the other sectors of the index. It follows a rough week for the industry after earnings reports from Facebook and Twitter raised concerns about their growth, sending their stock prices plummeting. 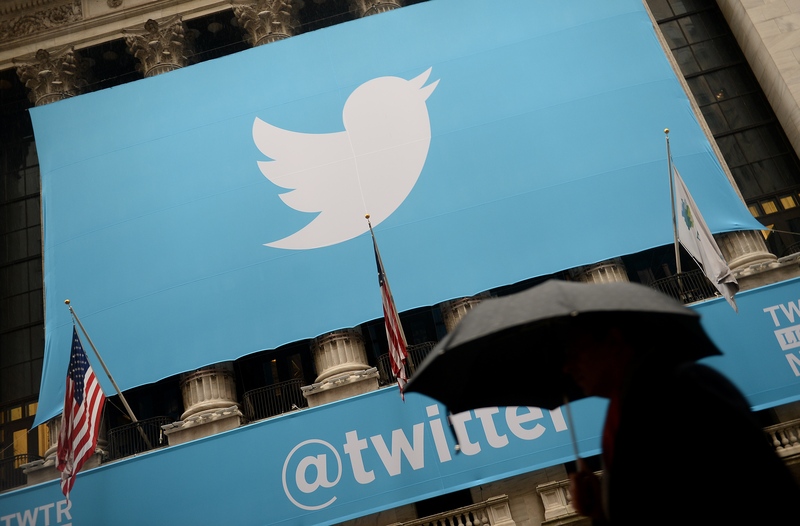 Twitter dropped 7.8 percent to $31.44 Monday, following its 20.5 percent plunge on Friday. Facebook fell another 4.4 percent Monday to around $167.20 Monday after shares fell 19 percent last Thursday for a stunning $119 billion drop in market value that was the biggest one-day loss in Wall Street history. Netflix, which also plunged after a disappointing quarterly report this month, gave up another 5.2 percent to $336.65 Monday. Like Twitter, Netflix (NFLX) has roughly doubled in value over the last year but has fallen sharply in July. It's down 19.6 percent from its record high on July 19 of around $419 July. While tech stumbled, energy stocks rose with the price of oil and helped to keep U.S. indexes relatively steady ahead of a busy week full of central-bank meetings, corporate earnings reports and the monthly U.S. jobs report. The S&P 500 was down 9 points, or 0.3 percent, at 2,809, as of 11:30 a.m. E.T., and the Dow Jones industrial average lost 44 points, or 0.2 percent, to 25,406. Energy stocks in the S&P 500 climbed 0.9 percent after the price of benchmark U.S. oil spurted higher by $1.49, or 2.2 percent, to $70.18 per barrel. Brent crude, the international standard, rose 86 cents to $75.62. The yield on the 10-year Treasury note rose to 2.97 percent from 2.96 percent late Friday. It's been climbing for the last couple of weeks and is close to breaching 3 percent for the first time since May.